With more than two billion (yes, two billion) monthly active users, Facebook has grown to become the crown jewel of the social media industry. Restaurants can use Facebook to engage customers and make sales through several different ways including event marketing, list building, and video broadcasting. But perhaps the most powerful way of getting your business discovered is by running Facebook ads. 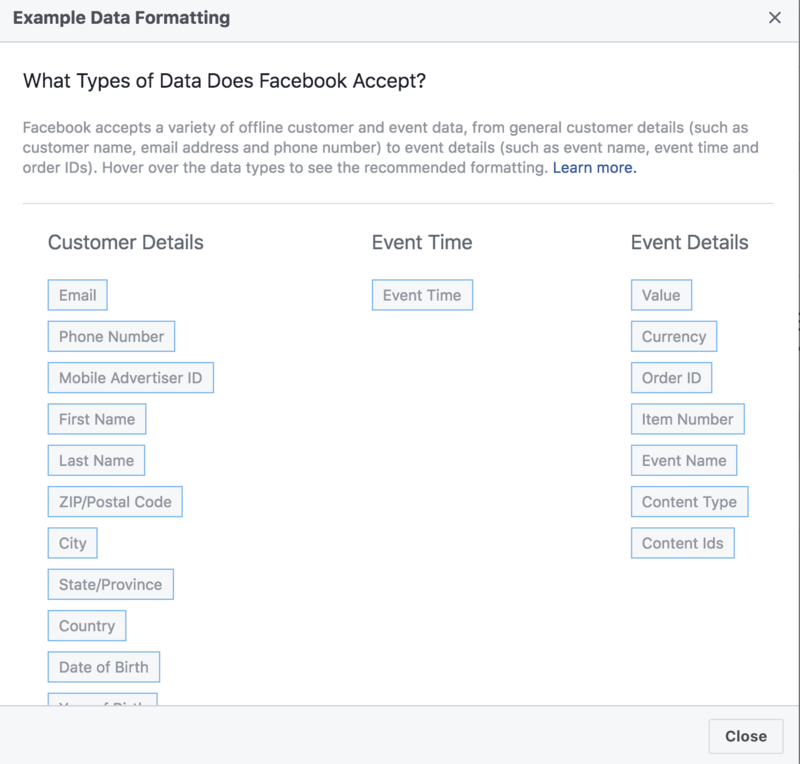 Need a system for capturing guest customer data so you can run better Facebook ads as described in the post below? Facebook's ad targeting capabilities are so advanced that it's starting to get creepy. After the basic functionality such as country, age and gender, you can dive even deeper into audiences’ interests and life events. For example, you can target couples with preference for a specific cuisine, or target students with a discounted menu. At no time in the past have restaurant marketers had an option like this to effectively present their restaurants to new audiences. However, standard restaurant ads on Facebook can take a long time to start bringing you highly loyal, regular clientele, as dozens of targeted individuals will be coming across your restaurant for the first time through the ad. 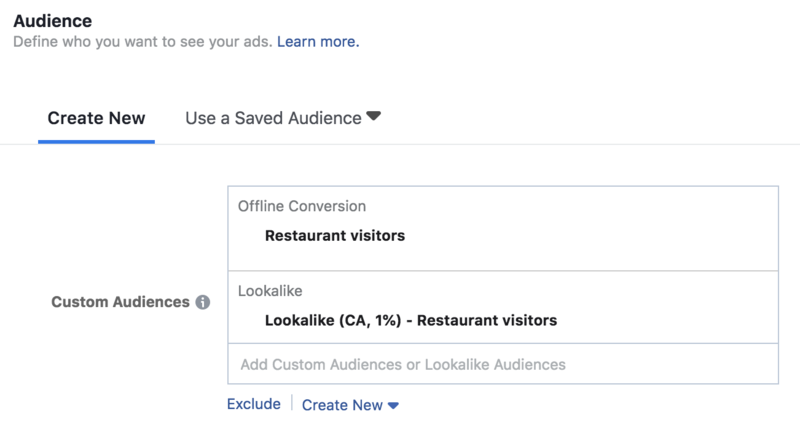 If you’re looking to get results fast or have a limited budget to spend on ads, consider using your restaurant customer activity to set up a ‘custom audience’ for your Facebook campaign. So What’s a Custom Audience? A custom audience is a group of people you target based on the list of contacts you already have. A restaurant can simply upload a list of contact details, like email addresses and phone numbers, of its customers into its Facebook Ads Manager. Facebook will then match the contact information in your list to Facebook profiles and create a custom audience based on the number of matches. Typically, restaurants can expect up to 70% of their customers to have matching profiles on Facebook. 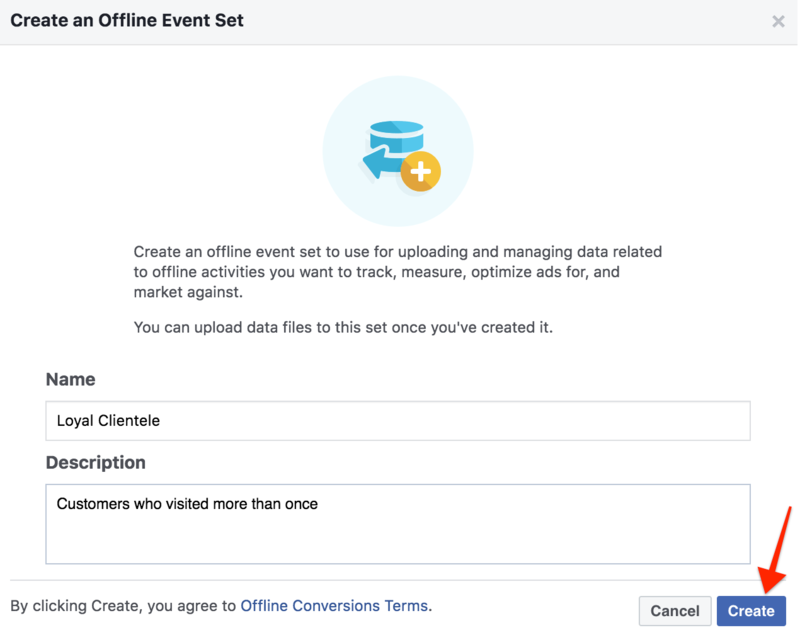 But that’s not all: Facebook also allows you to use offline event data (customer activity) to create custom audiences for your ad campaigns. For example, you can display ads to your most loyal customers (people who have already dined more than once), or reach customers who had planned a visit but cancelled their booking with a creative ad campaign. Because most restaurants use the general route to setting up custom audiences i.e. upload email addresses and phone numbers of their customers, we’ll show you how to stand out by creating a custom audience based on your most loyal customers, and then make a ‘lookalike’ from this audience (more on lookalike audiences later). How to Create a Custom Audience Based On Customer Loyalty? 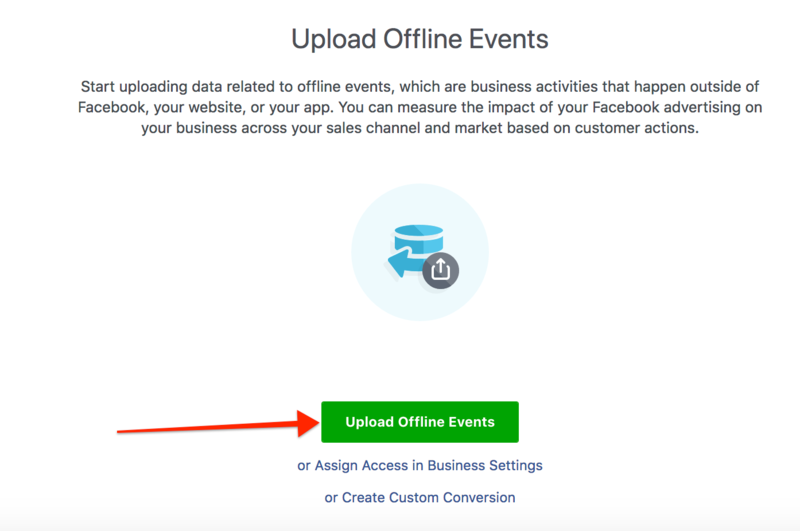 Launch your Facebook Ads Manager and choose the ‘offline events’ option from the drop-down menu. At the top right corner, click on ‘Add Data Source’ and choose ‘Offline Event Set’ from the drop-down menu. Enter the name and description of the event and click ‘Create’. For instance, you can enter ‘Loyal Clientele’ as the event name and ‘customers who visited more than once’ as the description’. Now determine which of your ad accounts should be linked with this Offline Event Set. You can select more than one if you use multiple ad accounts to run restaurant ads. Once done, click ‘Next’ to move forward. 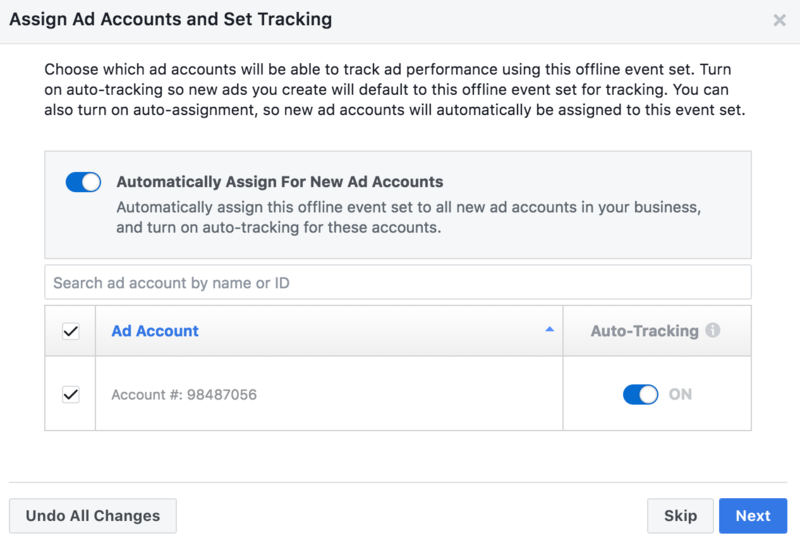 Facebook will now acknowledge that it has assigned the event set to your ad account with auto-tracking activated. Click ‘OK’ to finalize the creation of your offline event. You’ve successfully set up an offline event set. That’s great, but that set doesn’t currently include any data. To populate the set, you’ll have to upload a file that consists of your offline events. You can either copy and paste your restaurant activity data or upload a CSV/TXT file. This file can include columns consisting of customer details along with offline event descriptors (event time, event name, order ID, value, currency, etc.). 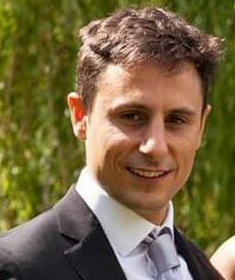 Need a system for capturing guest customer data so you can run better Facebook ads? You can add email addresses and phone numbers of your customers. The ‘purchase’ identifier can be used to imply that the visitor ordered a meal at your restaurant. Other columns like event time, value and currency are self-explanatory. You don’t need to put in every column. But the more details you can upload, the greater the chance of having a match. However, just like for Custom Audiences, you can’t expect to get a 100% match on offline customer activity. So, after uploading the file, click ‘Next: Map Data’. Now Facebook will map the data to see what information is present in each column. Click ‘Next: Review’ to move forward. You’ll then get to review the event sample. Check everything and click ‘upload file’ to proceed. 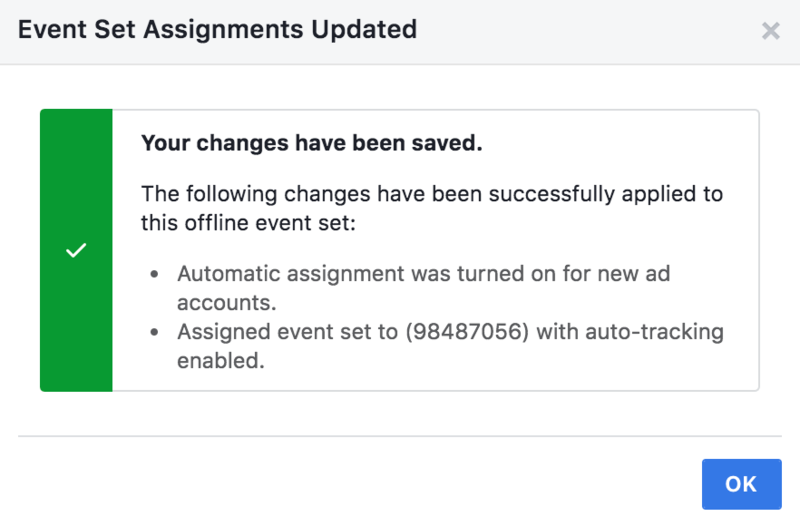 When you’re done, Facebook will show you how many events it has received for an offline event set, as well the match rate and attribution rate. All this information takes a while to show up. Note: You’ll need to provide Facebook with a large volume of data if you want to get a good match rate. The data and number of entries used in this post are just an example. 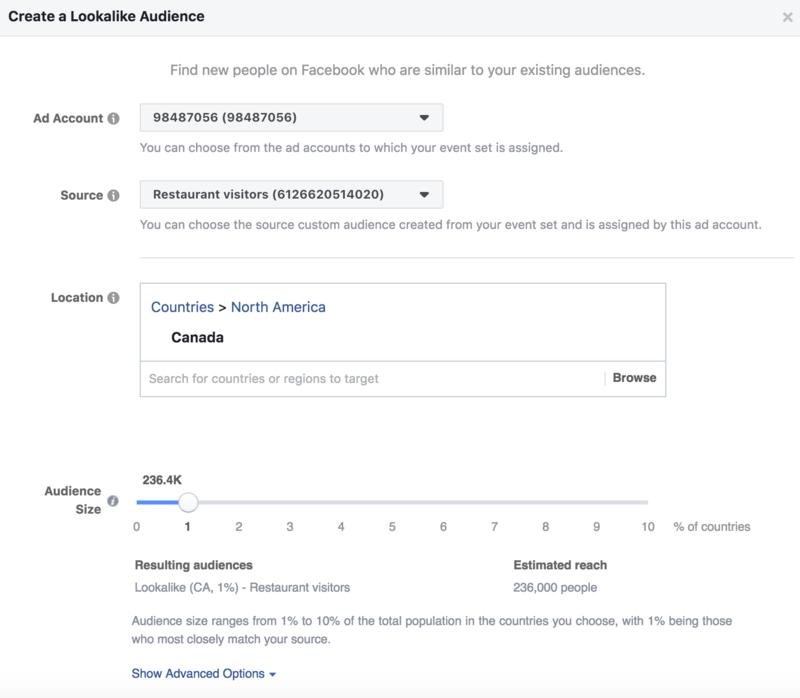 Now that Facebook has your restaurant activity data, it’s valuable to set up custom audiences to reach the people on your list later with Facebook ads. To create one for your offline customers, open your offline event set, click the ‘Create Audience’ option at the top right and choose ‘Custom Audience’. When selecting ‘All’ for the criteria, you’re essentially converting your entire offline event file into a Custom Audience, which is what is recommended for offline event sets. Moving on, give this Custom Audience a name and click ‘Create Audience’. Facebook will then create a Custom Audience based on your offline interactions. Once that’s done, you’ll be able to choose this audience from the Custom Audiences section when creating your ad campaign. Another thing you can do is create a ‘lookalike’ audience for your offline event set. Lookalike audiences refer to the people that are similar to a source audience of your choice. In your case, these would be people who have similar demographic profiles and interests as your Custom Audience. To create a lookalike audience, open your offline event set, but click on ‘Lookalike audience’ this time around. After that, pick your ad account, and define the custom audience you created before as your source audience. 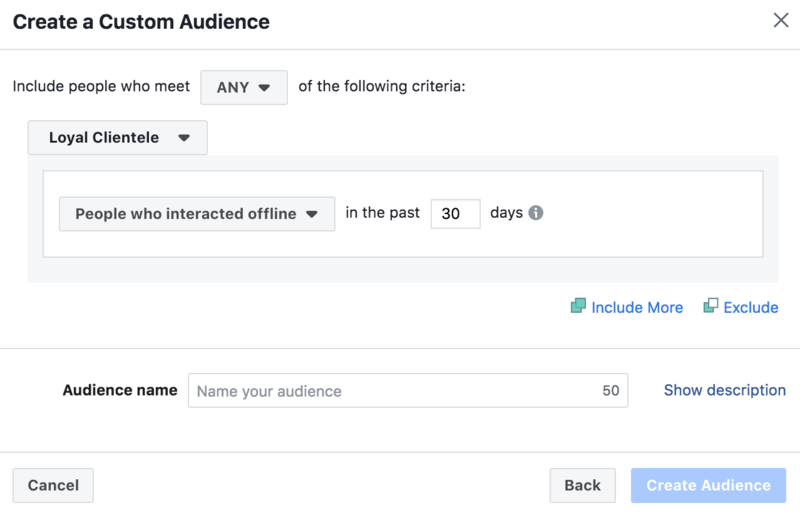 When creating a Facebook Lookalike Audience, you can select between 1% to 10% of the entire population in your defined target region or country. 1% will be those who most closely resemble your custom/source audience. If your aim is to target the most potential prospects, you should choose a 1%-2% range, instead of going for 10%. Click the ‘Submit’ button at the bottom right corner to allow Facebook to process your request for a lookalike audience. It can take Facebook up to 24 hours to make lookalike audiences available in your Audience section for ad creative. It’ll show up in the same section as your Custom Audience. You can target both Custom Audiences and Lookalike Audiences at the same time, or set up different campaigns for each of them. Ready to Run Better Restaurant Ads? By creating a Custom and Lookalike audience based on your restaurant customer activity, you’ll be able to reach people who’ve already eaten at your restaurant with ads that give details about new entrées, discounts, etc. Targeting this ‘warm’ audience can be a great way to boost customer retention and overall revenue, as repeat customers can spend up to 300 percent more and refer 50 percent more people than newly acquired customers. Plus, someone who is already familiar with your restaurant is more likely to click on your restaurant ads than those who are seeing your restaurant’s name for the first time in their News Feed. There are dozens of people that you can reach with standard Facebook ads, so are Custom and Lookalike audiences welcome? We say yes! How do restaurants gather customer information? Today's diners demand a personalized experience. CRM systems like Eat enable restaurant staff to give the best customer experience throughout the diner journey. CRM for restaurants opens up new marketing and communication channels that improve retention and repeat business. Grow a bigger customer list: Automatically add online bookings to your database. Enable better marketing: Use data to plan and execute better marketing campaigns. Personalize hospitality: Provide a personalized experience with rich profiles. If you are ready to try out our state of the art table management system at your restaurant to make better decisions with your customer data. Click the link below to get started instantly.